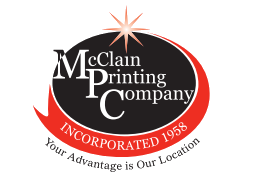 Since 1958, McClain Printing Company has earned a reputation throughout West Virginia and the east coast as a reliable, professional and creative printing business. Much of our printing services are in the form of commercial printing such as flyers, posters, catalogs, brochures, pocket folders, pamphlets, magazines, post cards, etc. Our trucks deliver to the Washington, DC, metro area daily and our services are offered throughout the country. Commercial printing was an addition years ago to an already thriving family business of book printing. The founder of MPC, Ken McClain, found that many of the regional and county history books of West Virginia were out of print and hard to obtain. The editor of the hometown paper in Tucker County, WV, he was asked to reprint many of the old histories of the area. Thus, the publishing division of MPC was created and from that, private book publishing at MPC was born. While MPC does occasionally finance historical books or reprints, we are predominately a private book publisher. This means we will not take profits from any author's book sales as vanity presses do. A royalty publisher who will finance and market the book at no expense to a customer and then pay the customer royalties is the goal of most authors, but this is not always obtainable and can take years of searching for the right agent and an agreeable publisher. We are often asked,"How do I get my book published?" Our best suggestion is always to try to find a book agent who does not ask for up-front money and who, if he/she sells your book to a publisher, will then take a reasonable cut of the money. Copyright your material and send letters and excerpts to potential agents and publishers.